Home / Forums / Everyday Testing – Careers, Learning and more / What’s the Most Common Career path for Testers? What’s the Most Common Career path for Testers? Having read a lot of the replies in the “How Did You Get Involved in Testing” thread, it’s obvious that many testers come to this industry from a number of different pathways with different experiences and backgrounds. I wonder if there is a common career path for software testers. It doesn’t seem like say, other careers, most study software testing in college (is there such a course?) and then go straight into a junior role at a company. If there isn’t a common career path, should there be one? Is it a good thing that not all testers career paths are the same? I have not seen cases yet of testers becoming business analysts or project managers. A counter question: what is the career path of a developer? They become better developers. Why not apply the same to testers? I have been (and still am on and off) test manager, test automation engineer, developer, business analyst, project manager, line management and I still consider myself a tester. I think I have become a better tester and that as a tester I am more at home at specialty areas like security and test automation but that has not taken me away from testing. So my career path is becoming a better tester. Good point @kasper. I suppose all experience can lead to becoming a better tester. Thinking outside the box! It seems that with testing though that as @crystal states, a career path only become clear after training in the area for a while and deciding what area or level you might want to pursue. Is it a good thing then that there is no predictable career path in testing? I have about 12 months experience as a functional tester and I have now decided to start teaching myself Java in preparation to learn automation. I now live and work in the UK but plan to move to the US next year. The testing roles in San Francisco appear to be geared more towards automation so I hope this will help me with finding a job over there. I already have people management/lead skills from a previous role, so I could naturally go into a test lead position once I myself become more experienced as a tester. QA Engineer to PM, I have seen, quite popular in some software houses, Microsoft as an example. 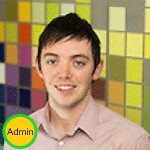 @aodh-rua Do you mean PM as Project Manager? I didn’t realise that happened a lot. @ronan yep Project Managers, a pretty common career path in software houses, not so sure if you see it as much with the adoption of agile methods but it is still common enough. – Does a role of Product/Project Manager/Scrum Master – Identified defect needs to be fixed based on their priority , voice out priority to make them part of sprints. – Does a role of developer – Identifying the root cause of the identified defect is equivalent to that of a developer coding it. @pranali Please avoid pasting your text from office documents into the content field and kindly check your answer after posting in this forum to make sure it is readable for others.